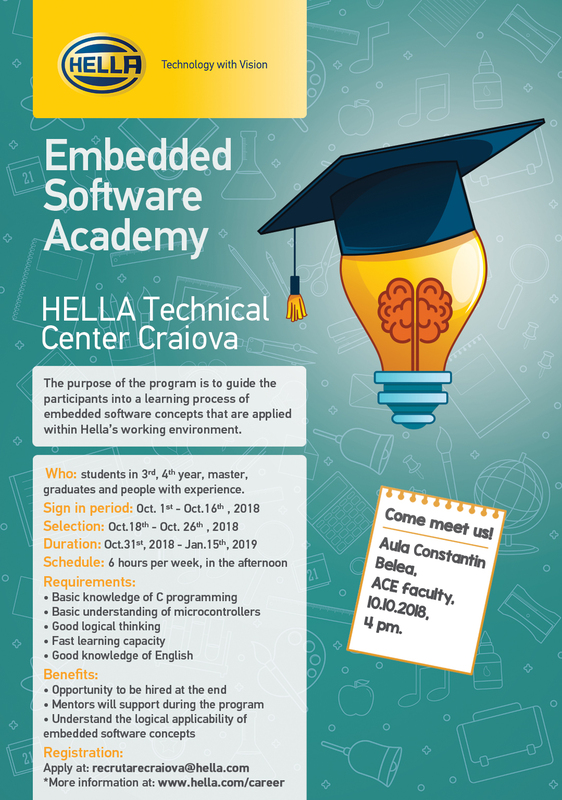 Hella Technical Center Craiova is proud to host the fall edition of the Embedded Software Academy, starting in October 2018. The program is adressed to 3rd and 4th year students, graduates and people interested in reshaping their career in embedded. Successful applicants will be guided into a learning process of embedded software concepts that are applied in Hella’s working environment. CVs are welcomed at: recrutarecraiova@hella.com.